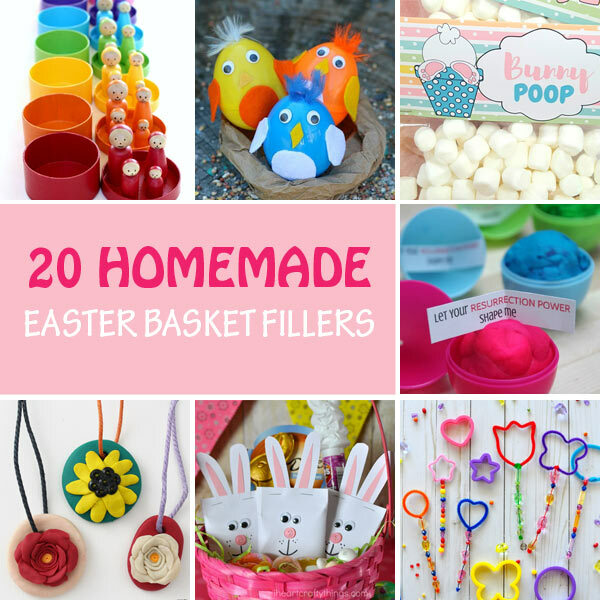 If you’d like to incorporate homemade elements into your Easter basket, I put together a list of 20 DIY Easter basket fillers for kids. 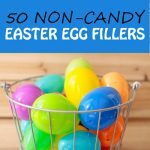 There is a little bit of everything, from candy pouches and bunny poop to non-candy basket filler ideas such as bunny bath bombs or flower hair clips. Babies will enjoy playing with the rainbow wooden puzzle, toddlers will love the bird shakers, preschoolers and older kids will make their own slime, play with play-dough, blow bubbles and more. 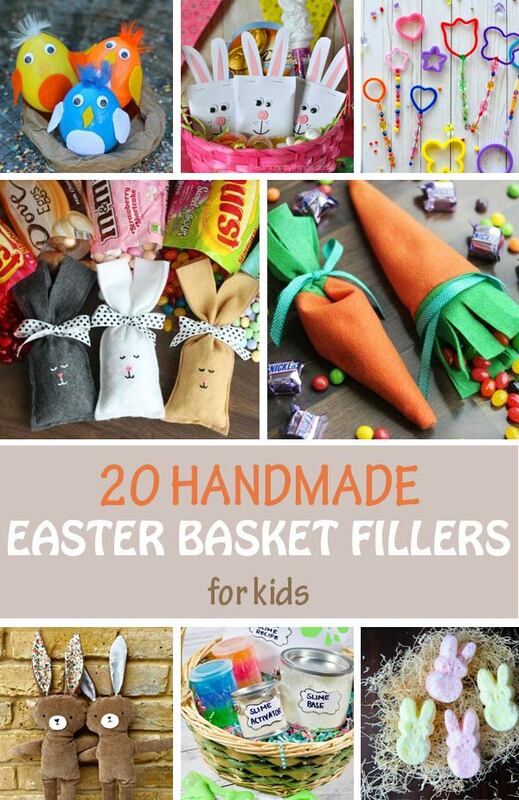 These handmade Easter basket filler ideas are easy to make. Some will require sewing. 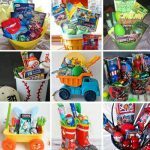 For more ideas, check out these 11 homemade Easter basket ideas for boys. 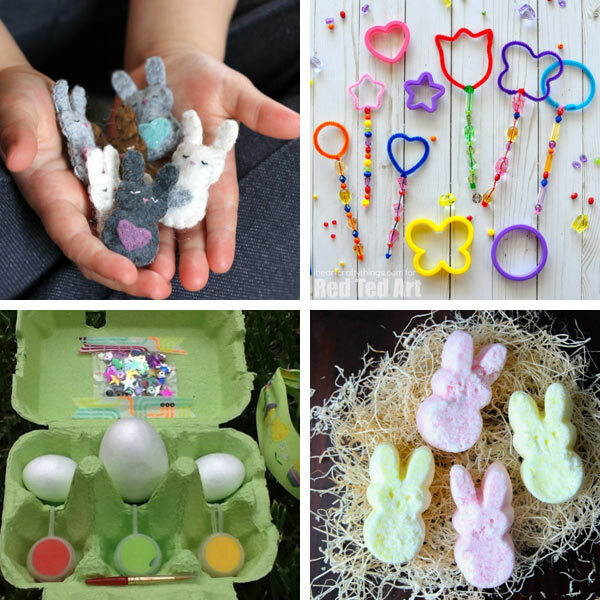 If you enjoy crafting with your kids, our collection of easy Easter crafts for kids has many fun ideas for you and your family. 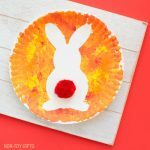 Mini pocket bunny – If you’re looking for a sewing basket filler idea, grab the free pattern and make these cute pocket critters. They are also a good fit for the Easter eggs. Bubble wands – You know these will be a big hit with your kids because all kids love making bubbles. 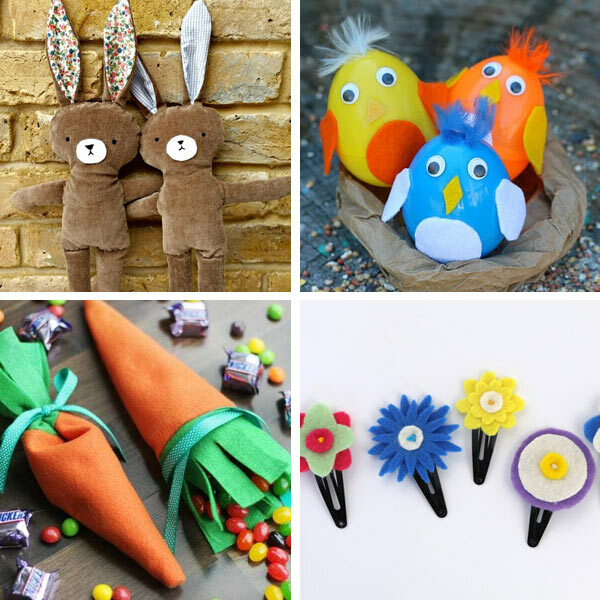 Decorate Easter egg kit – If your kids enjoy decorating their own Easter eggs, why not get together a little decorate kit for them? Easter bath bombs – Customize them with different shapes, colors and scents. 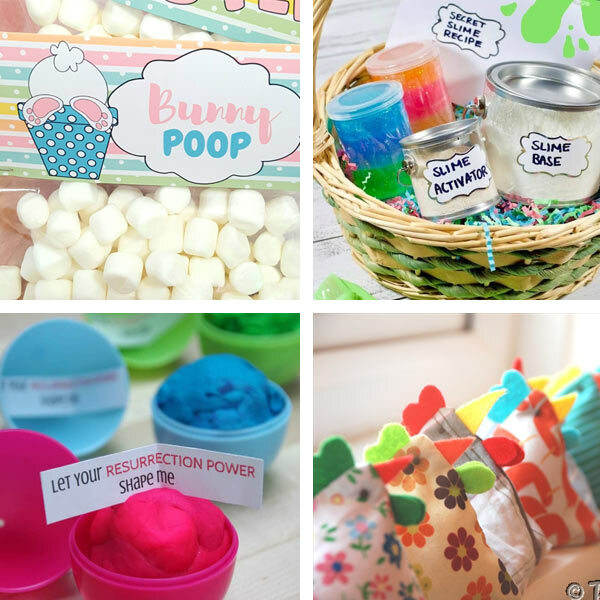 Bunny poop Easter bag – A bag like this would be much appreciated and would be the cause of many giggles in a family with boys, like mine. Free topper printable available. Slime kit – Learning how to make his own slime made my son’s day. 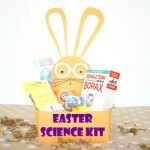 A slime kit will be a fun Easter basket filler, for sure. 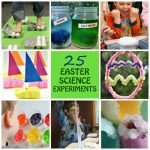 Play-dough Easter eggs – Make them more meaningful and turn them into a Christ-centered Easter gift. Juggling bag chickens – Adorable bean bags and easy to sew. Bunny dolls – Aren’t these the most adorable handmade dolls? 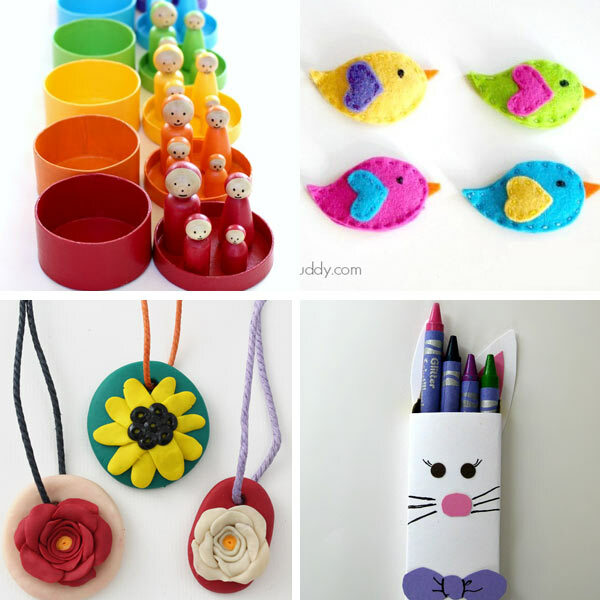 Plastic Easter egg shakers – Cute bird shakers for kids to play with. 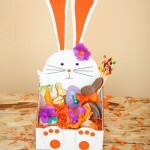 Candy filled carrot pouches – Fill them with jelly beans or other small candy. Felt flower hair clips – If you have a little girl, here is a great idea for her. Polymer clay pendants – This is something I would like to have too! 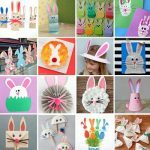 Bunny crayons – No kid can have too many crayons! 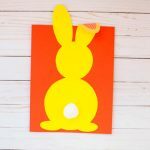 Easter bunny candy pouches – These bunnies come together in just minutes and require only simple sewing. 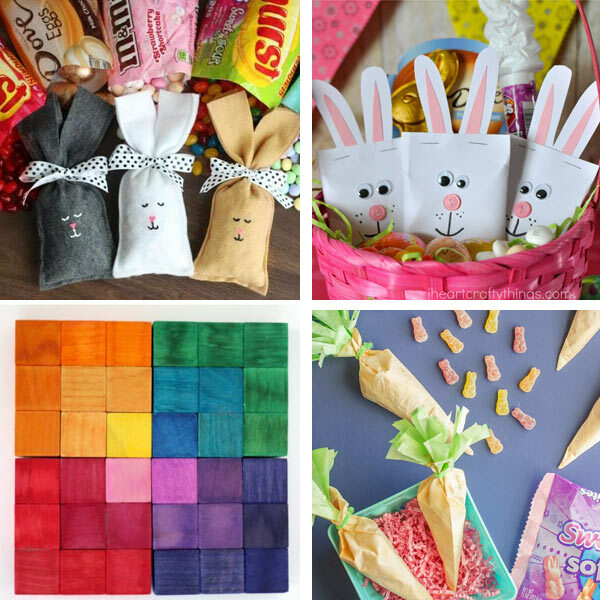 DIY Easter bunny candy pouches – If sewing is not your thing, make these bunny candy pouches with paper. Rainbow puzzle – A fun wooden square puzzle gift.